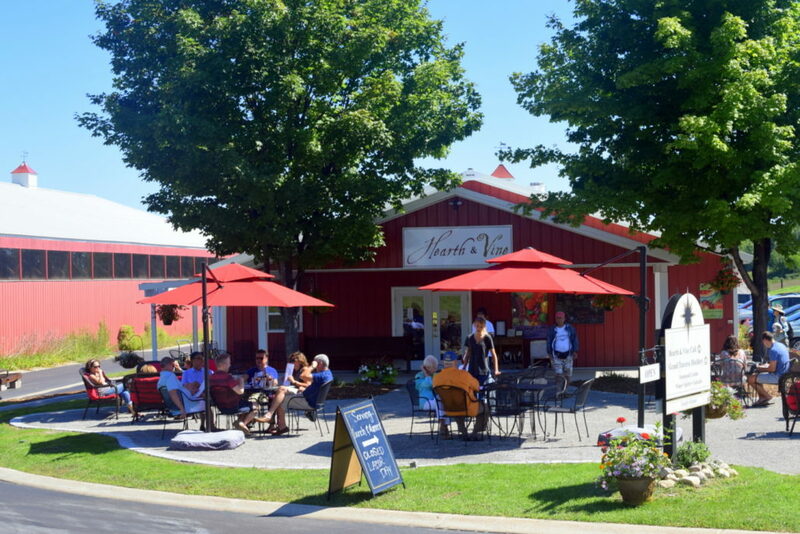 Farm-to-table cafe with award-winning wine, cider or craft cocktails. Located at Black Star Farms. Relax in a farm-to-table cafe where you can pair wood-fired pizza and other farmstead fare with award-winning wine, cider and craft cocktails. Get cozy in the dining room or take in the view on the seasonal patio. Hearth & Vine operates with a philosophy of providing fresh foods from local sources in a relaxed atmosphere. The Cafe operates seasonally from May through October with special culinary events offered throughout the summer and fall. Visiting in the winter? January through April, the cafe caters 3-course prix fixe weekend dinners at The Inn at Black Star Farms.